If you like maps like I do then they can serve as a covering for just about anything creating a new and interesting decor item. 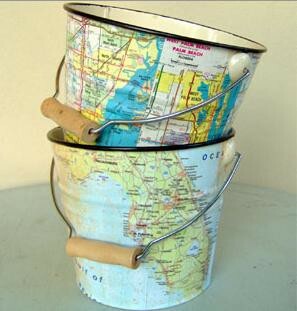 You can start simple with a bucket and some ModPodge. It would make a great wastebasket in the bathroom! 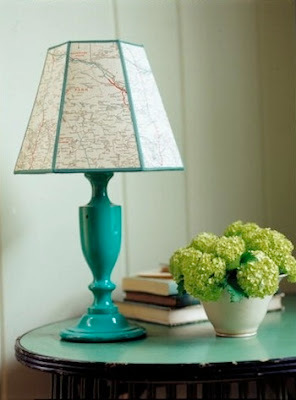 Or another simple application would be for a lampshade. I don't particularly care for USGS green though (wonder if that is an official color?) 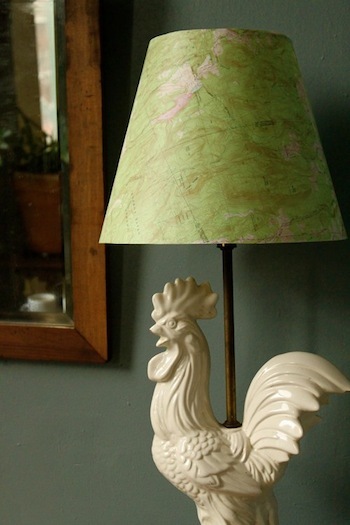 and the rooster has to go! I especially like the following idea - although all I could locate was this unidentified tiny photo. I had to include it because I am looking for a way to pull off a similar idea in my bookshelves - currently fake oak over mdf. 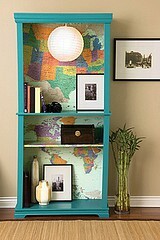 Turquoise would be all wrong in my room though and it does dominate in map coloring. Getting a little more complicated here is a nicely redone dresser. 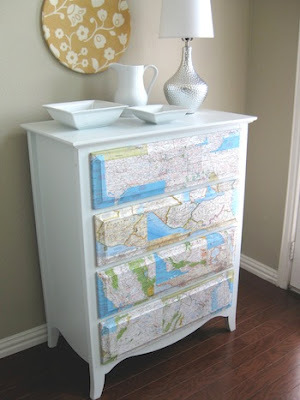 The combination of the white and the map drawer fronts is very nice. 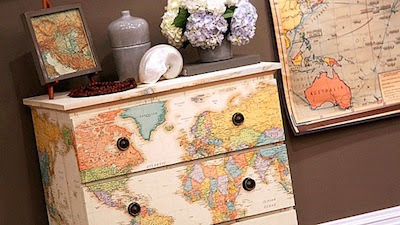 If you are a little more ambitious you could try covering the entire dresser! This one works beautifully with the brown walls. 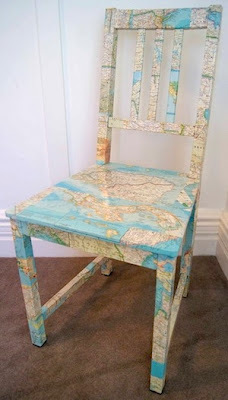 But if the contours of an entire dresser aren't enough for you how about a chair? I think I'd like my maps to be a little subtler, but I am going to start saving them. Should be a collector's item soon! That's all I need is yet another collection. At least maps are flat unlike globes........!